Simply put, I support this story. I have worked closely with all the technologies used in mobile radio and to this day there is no evidence of medical issues caused by any of tge technologies. Newer technologies use spread spectrum methologies meaning that power is not focused on one frequency. This makes the likihood if cellular damage a lot lower. 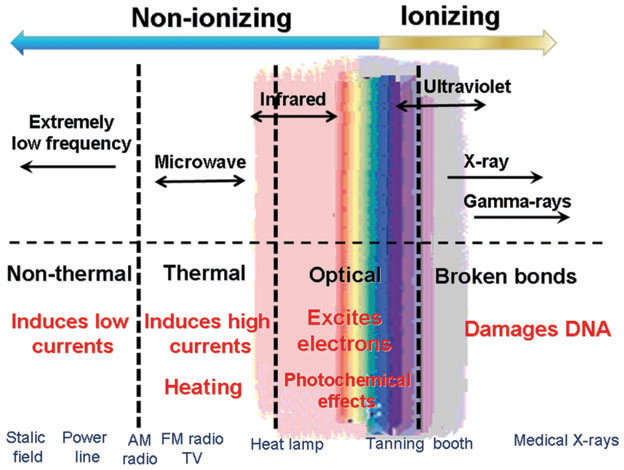 You need to understand that medicine of non ionising radiation. I had an experience when working underground with a transmitter and an RF radiation monitor. It was triggered and we later found out that it does not work well in confined spaces. It was not in the operation manual. It did trigger a hunt for a doctor who could check out our exposure. This stuff is so rare that we would have had to go overseas to get the “all clear” in the meantime we discovered the Archillies heal on the unit. There are few people that work in this area as it is not a problem nor do statistics indicate any concern. To give you some idea if the general public’s lack of understanding of the technology, what if I told you that the safest place to build a child care centre, based on signal power levels, would be at the base of the towr and not 100m or 200m away. The signals radiate outwards at tower height with a few degrees downslope. The opponents of mobile technology are usually appalled by this as they just don’t understand. If you were worried about the power, and I am not, then put child care and schools at the base of the towers. Learn about non ionising radiation and educate yourselves before being alarmist reactionaries. Your phones next to your ears are a higher concern and there is no evidence of any cancers predominantly on the right hand side due to most people being right handed. Today the average person is suckered into pseudo science. My Favourite was an even that happened 22 years ago at my stepsons school, were mothers were demonstrating about a proposed telstra tower. I spotted one mother recovering her mobile phone handset from her bra and proceed to make a call. Sorry for slow approval of comments. Sometimes the web host blocks emails sent to alert me of new comments.